WordPress is the world’s most popular and widely used website building tool. It gives you access to thousands of free themes and plugins that help simplify the design process and allow you to add powerful features with just a few clicks. Reduces labor costs and time. Updates WordPress installations and plugins. Runs daily backups and security scans. 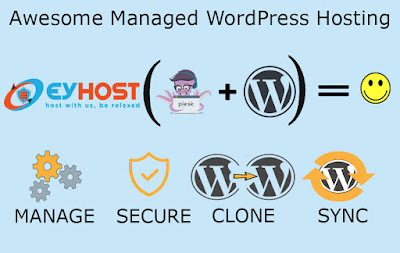 EyHost Ltd. is offering awesome and powerful managed WordPress hosting in the market. 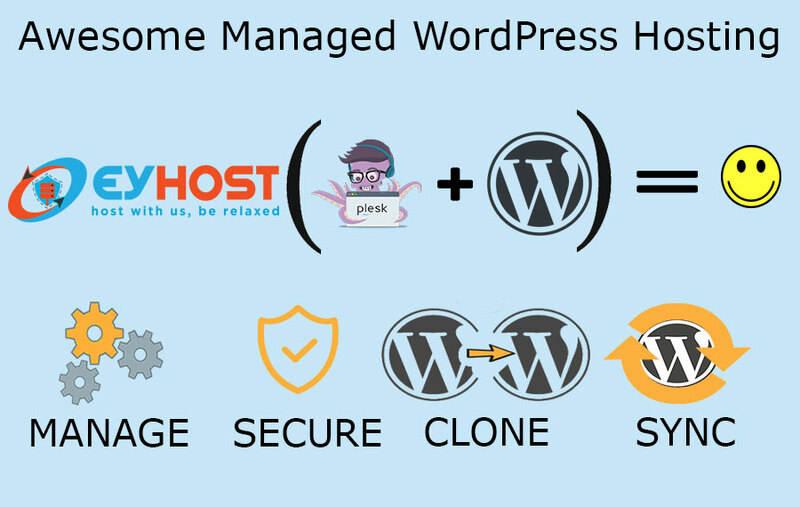 We have used market leader WordPress hosting control panel with all of latest technology and tools for offering super fast, secure , easy to manage and best performance WordPress hosting. Like we are using Plesk + WordPress Toolkit, + SEO Toolkit +Acronis Backup +AI enabled Smart Update and many more tools with this new service.